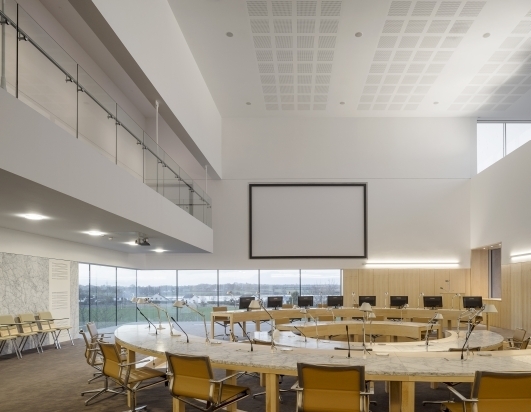 Project Description: Novated Design and construction of approximately 6,500m2 of new, high-quality county council offices including laboratory facilities and council chambers for Roscommon Co. Council on a very restricted site. The Works involve the retention and integration into the design of fragments of existing stone walls of a 19th century jail. 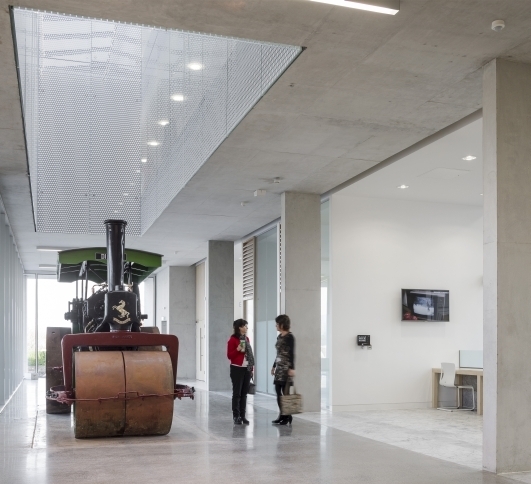 Offices are exemplary in terms of architectural design, workplace environment, sustainability and energy conservation with a requirement to achieve a BREEAM Excellent rating and a Building Energy Rating of A3 through design, specification and use of innovative environmental solutions. 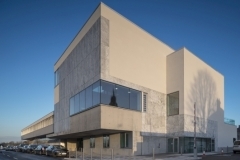 In addition, the Works involves works to a Protected Structure, the Courthouse, including the partial demolition of a 1960’s annexe and the limited-refurbishment of the original courthouse structure. 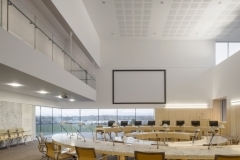 Works involve working within a ‘live’ work environment (live council offices and active law courts) where construction work is in close proximity with members of the public. 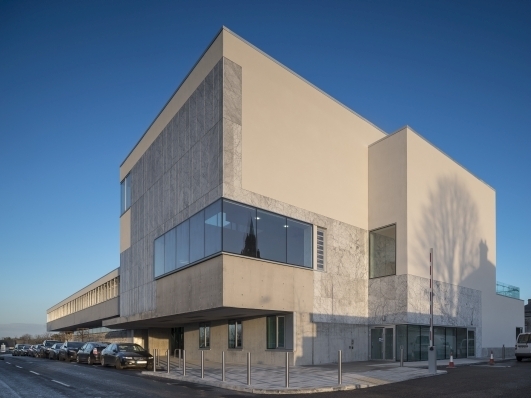 Also includes the coordination of the phased decanting of council staff from existing accommodation on the site. 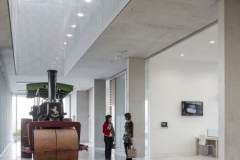 Ancillary works include design and construction of adjoining surface car parking.